Posted on Monday March 5th, 2018 at 07:53 PM. 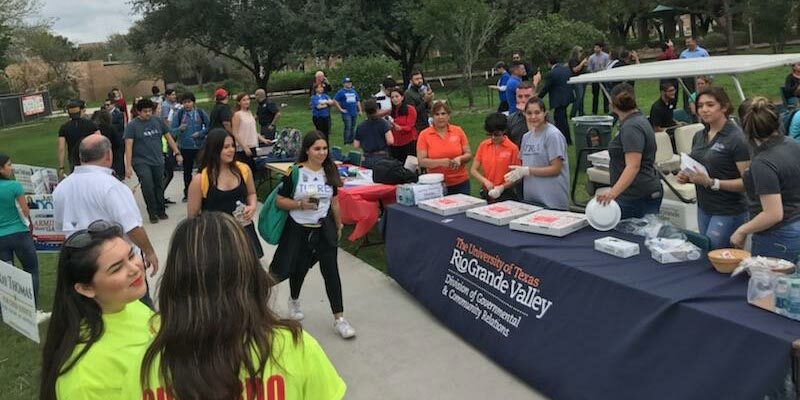 In 2017 we registered 1,145 new voters during Valley Voter Awareness Month, ranked among the top 5 organizations nation-wide for registering the most voters on National Voter Registration Day, and increased turnout in the RGV by more than 2,000 votes in the Constitutional Election. These accomplishments were made possible because of supporters like you. This year got off to a quick start here at AACT. Here’s a look at some of the things we have been collaborating with our partners in to engage our community in the voting process. Numerous races in Texas will be decided in the March 6th Primary Election. We have an opportunity to help form a more representative electorate and for our community to have a voice in the political discussion. In making sure the American electoral process leaves no one behind, we at AACT, encourage you to vote and for you to spread the word to your family and friends so that they get to the polls as well. The last day to early vote is Friday, March 2nd and your absolute last chance to cast a ballot is on Election Day -March 6th. Now more than ever, we firmly believe that the informed participation of all eligible voters of our communities will benefit our valley, our state, and even our nation. You can tell there’s an election coming up when you start seeing and hearing AACT’s Public Service Announcements. The commercials hit the air waves just after the voter registration deadline and 2 weeks ahead of the early voting period. If you Don’t Vote, you have NO Voice, is the strong and clear message AACT’s PSA promotes to over 1 million people living in the Rio Grande Valley. 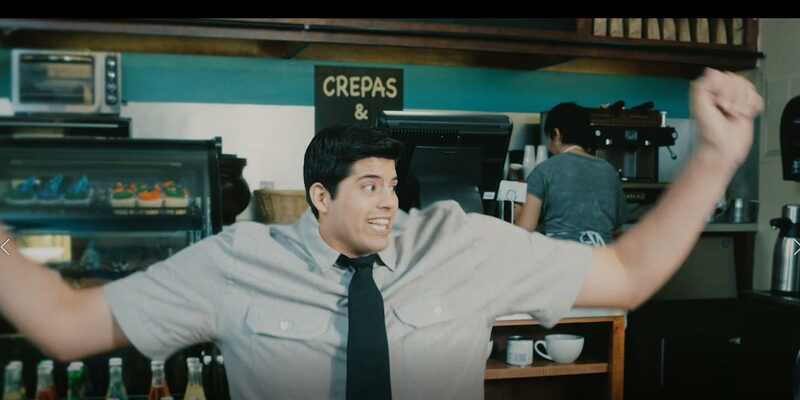 We would like to thank Rodrigo Rodriguez at Rio Films for creating and producing these TV and radio spots. Our appreciation also goes out to our media outlet partners across the RGV for their help in raising awareness about the importance of voting. AACT joined Futuro McAllen at the McAllen Public Library and the Edinburg Municipal Auditorium for a series of candidate forums to provide voter registration opportunities and election information to the general public. Attendees had the chance to meet candidates seeking public office and hear about their stances on various issues as well as their plans on how to address them. *Future McAllen and AACT are nonpartisan organizations that do not endorse candidates. AACT continues to foster voter awareness among the younger population by working together with the area’s educational institutions. 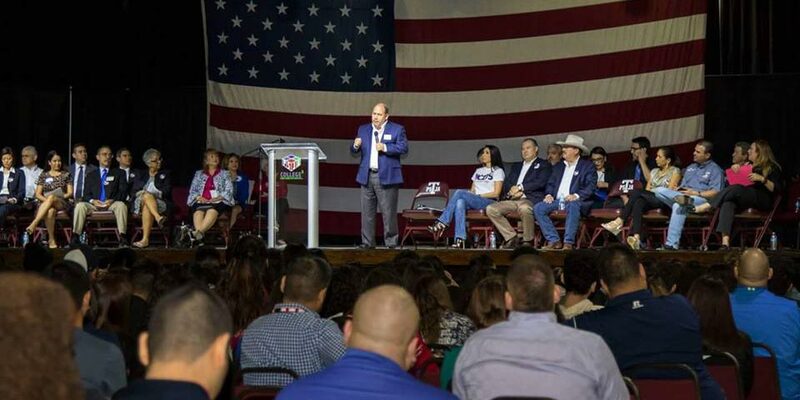 This election season AACT was invited to participate in a “Meet the Candiates”/Get-Out-The-Vote rally at UTRGV campuses in Edinburg and Brownsville. In collaboration with the PSJA School District, AACT hosted an educational forum centered around civic engagement. There too, students learned about the importance of voting and how the candidates running in the current election will work to make improvements in our community. We truly value the relationships we’ve built with our partners in education because it allows for the cultivation of meaningful civic participation and the education of the importance of having the community’s vote and voice heard in the electoral process. We would like to give special thanks to our corporate donors who make our efforts at AACT possible. 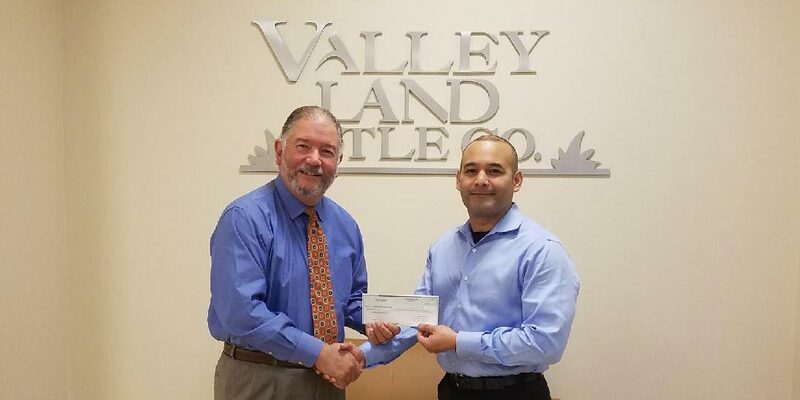 Valley Land Title Company and Wells Fargo each contributed $1,000 to help us continue moving the voter turnout needle in the positive direction. Their generosity certainly makes a significant impact in helping our organization help our communities.